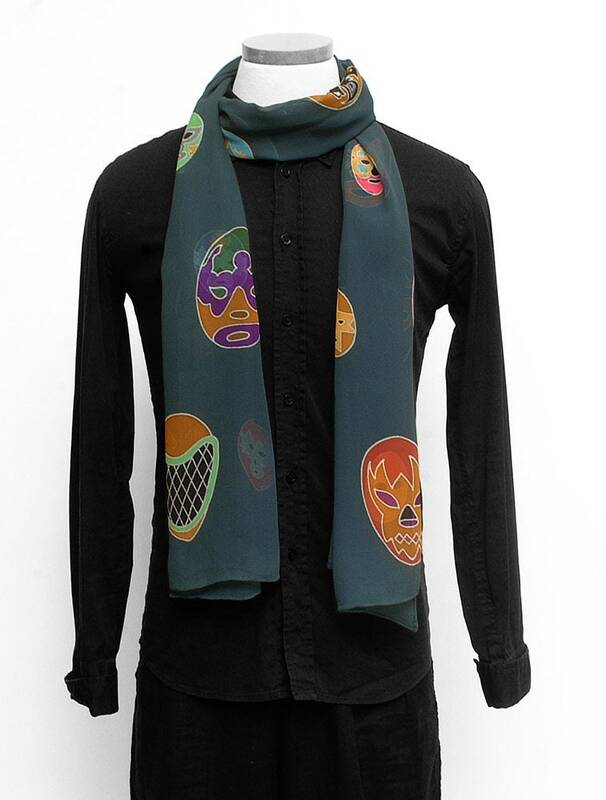 Wrap yourself up in this cool Mexican wrestlers Lucha libre scarf. 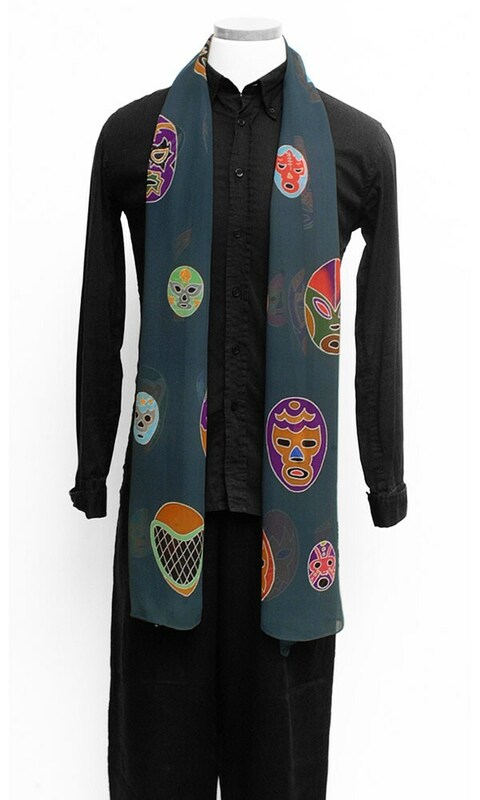 It has 35 different colorful masks of famous wrestlers. 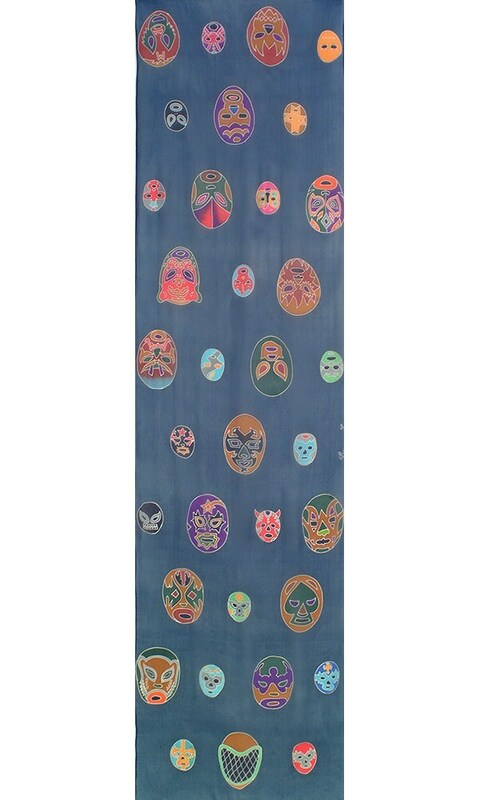 The background is painted dark blue. It is made with high quality, soft, light chiffon silk. 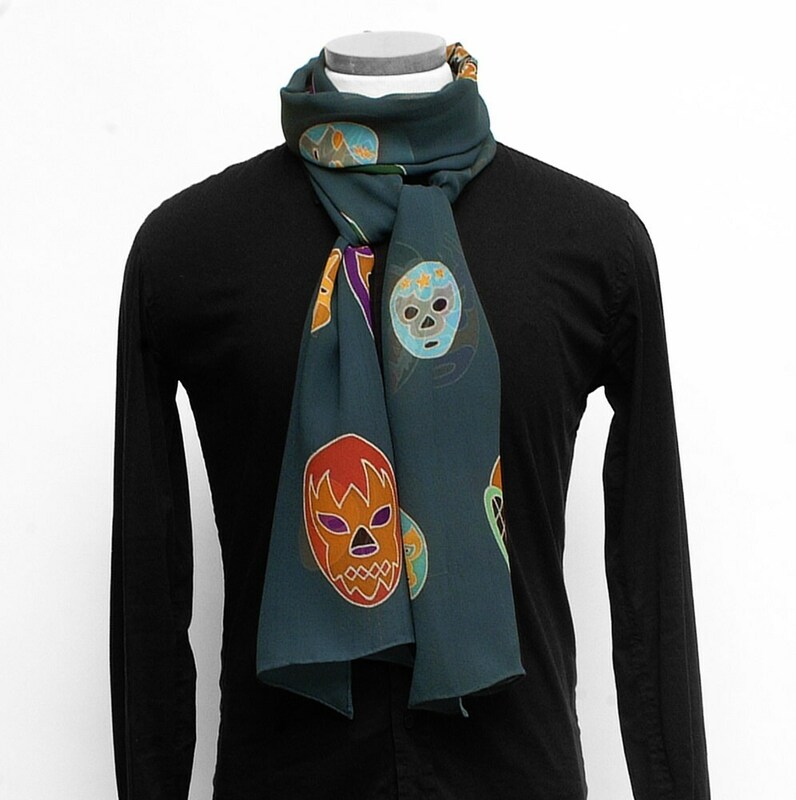 The scarf is great for men because of the dark background but like all my scarves it is a unsex piece and makes a great gift for a man or a women. Perfect for those long walks on the beach or out on a cool night on the town. 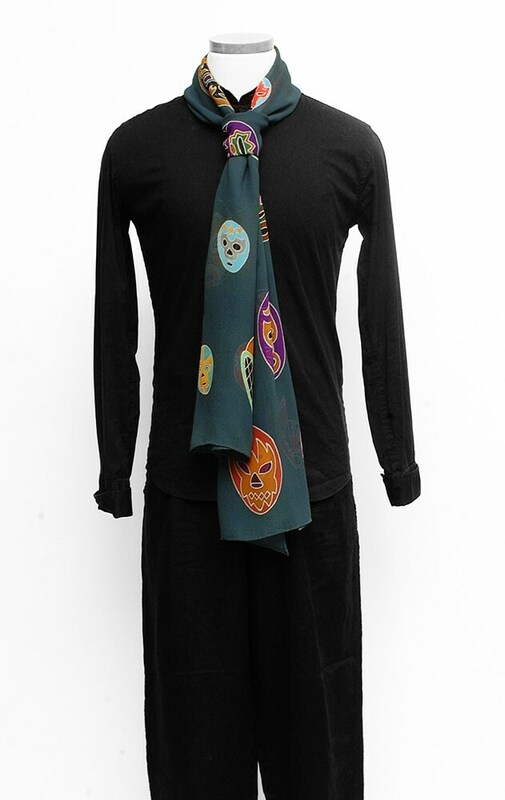 This one-of-a-kind silk scarf was Authentically hand painted using the Multi-step ancient traditional technique of Batik. It took 5 day to complete this work of art. The perfect gift for some special or yourself.